The Spanish bank is giving retail investors who lost money in the failure of Banco Popular 980 mln euros of new bonds as compensation. The practice of selling bonds to depositors has made it much harder to wind down banks in Spain and Italy. Santander is perpetuating the problem. 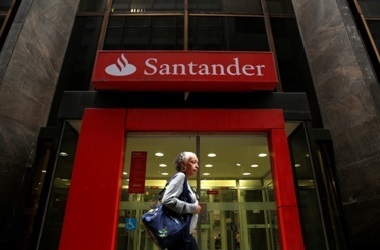 Banco Santander offered retail shareholders and creditors of Banco Popular up to 980 million euros of new bonds as compensation for losses when the Spanish lender was placed in resolution and sold to its larger rival in June. Retail investors who have a commercial relationship with Santander or Popular, and who bought Popular Tier 2 bonds or equity in the bank in a 2016 capital raise are eligible for the so-called “Fidelity Bonds”. In exchange, they will waive any legal claim against Santander in relation to Popular, Santander said in a July 13 statement. The perpetual bonds will pay a coupon of 1 percent for seven years, after which the coupon will increase to a spread of 5.75 percent over interbank rates. Santander can call the bonds after seven years. Banco Popular was deemed failing or likely to fail on June 6, and sold to Santander for a price of 1 euro. The bank’s equity and subordinated debt were written down or converted into shares before the sale.